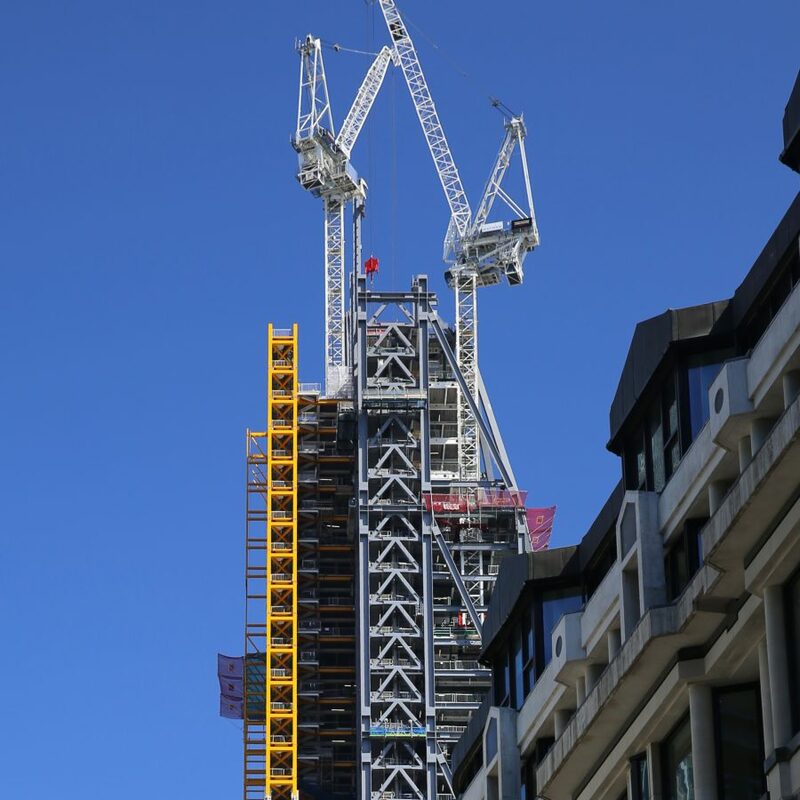 The 225 metre (737 ft) tall Leadenhall Building was officially completed in July 2014, and opened for business in October 2015. 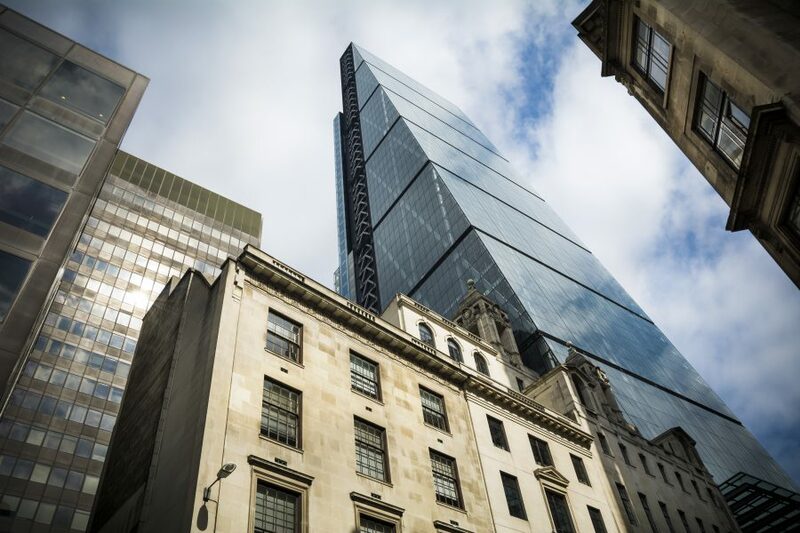 The skyscraper, located at 122 Leadenhall Street in London, is affectionately referred to as the Cheesegrater because of its distinctive wedge-shaped profile. 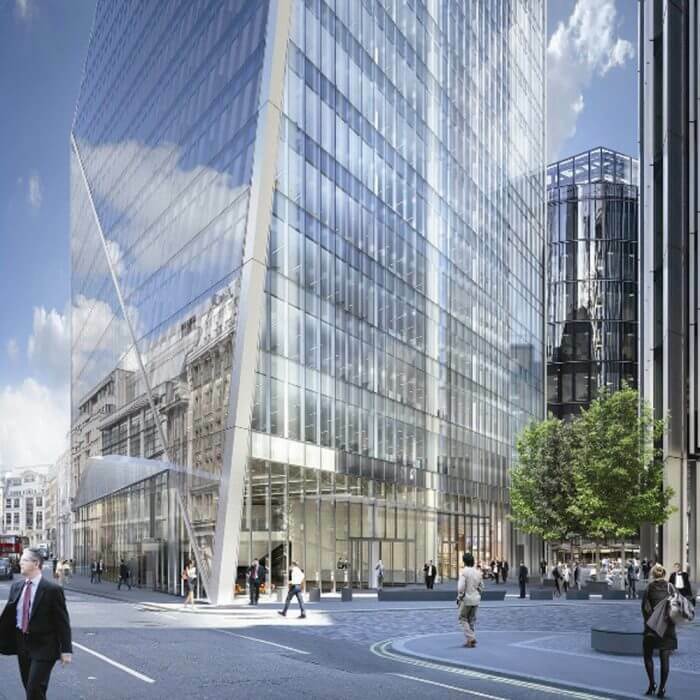 This innovative building features a tapered glass facade which reveals the steel bracings, along with a ladder frame that emphasises the vertical appearance of the building. 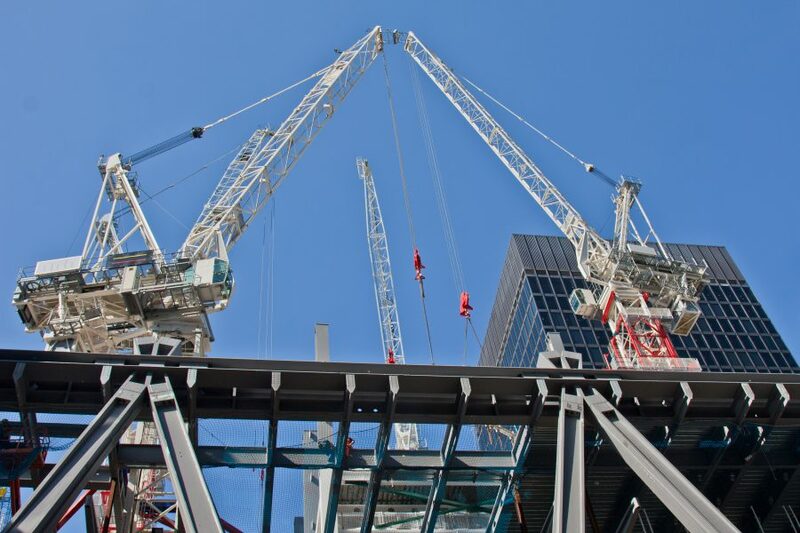 Unlike other tall structures, which typically use a concrete core to provide stability, a steel frame provides stability to the entire structure and is the tallest of its kind in the world. 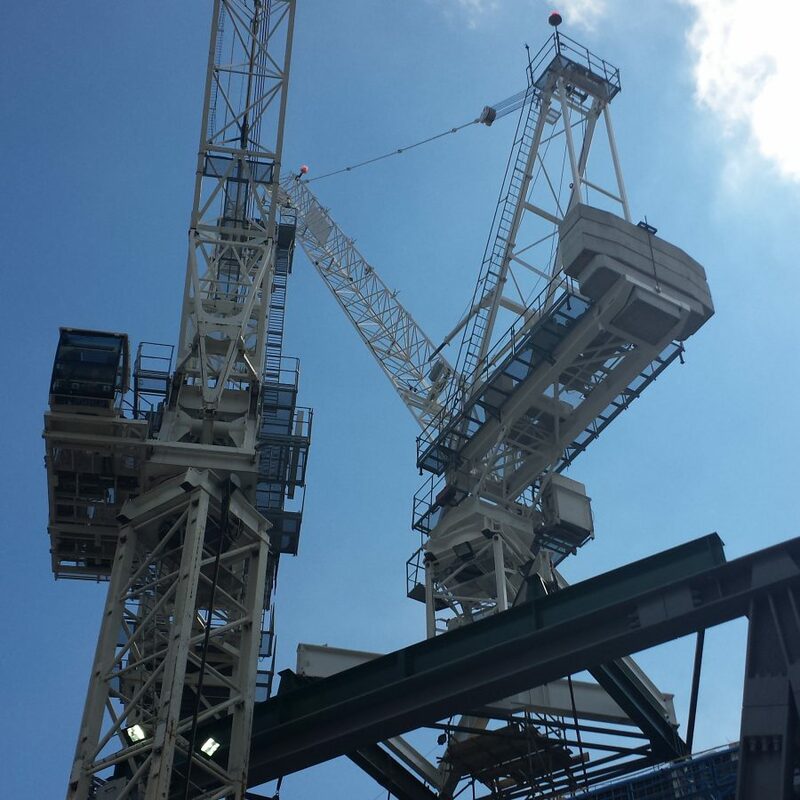 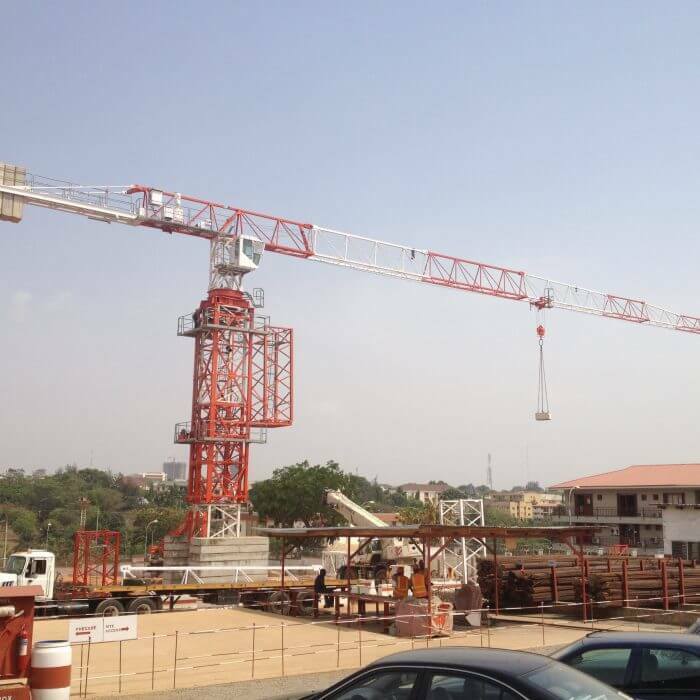 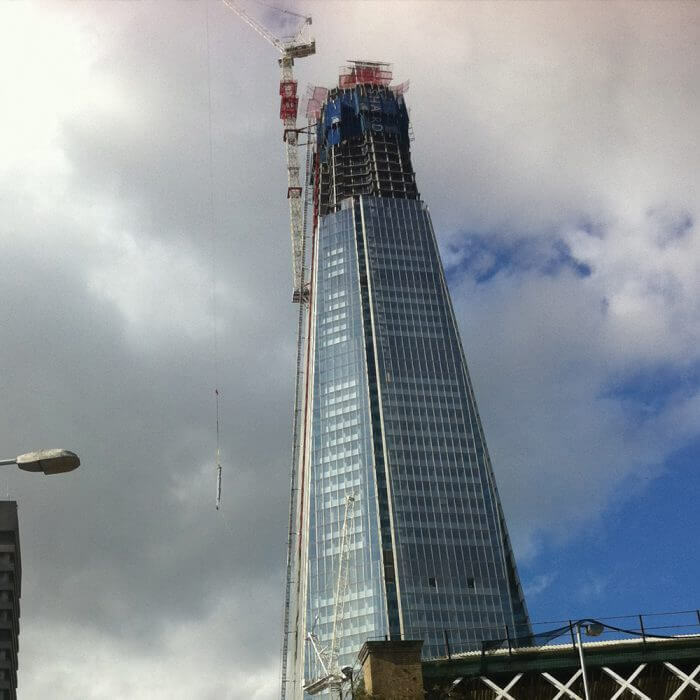 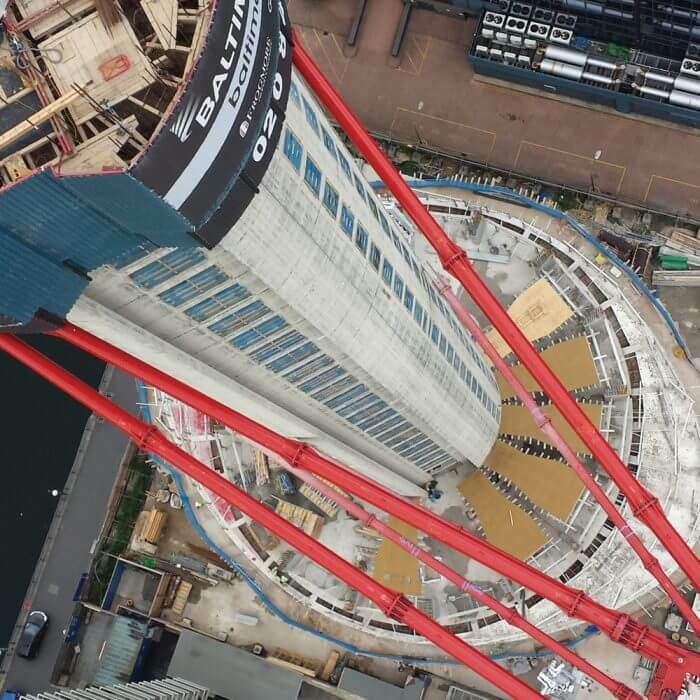 We were involved in all the erection, and internal and external climbing on the project, and were responsible for dismantling all four tower cranes on site.